With intelligent performance that accelerates in response to demanding tasks, such as playing games and editing photos, the new Intel® Core™ i5 processor moves faster when you do. Like the superheroes of old, the AMD Phenom II streaks out of the night to lay waste to your enemies with three 2.8GHz cores having L1 and L2 caches for each core and 6MB of L3 cache to be shared to handle really heavy loads or large data sets. Memory transfers get faster than ever. HyperTransport Generation 3.0 mode allows up to 16.0GB/s of bandwidth. Up to 17.1GB/s memory bandwidth for DDR2 and up to 21GB/s memory bandwidth for DDR3 memory controller delivers an amazing 37GB/s of processor-to-system bandwidth. This unprecedented bandwidth is needed to feed the data hungry AMD64 with Direct Connect Architecture cores. 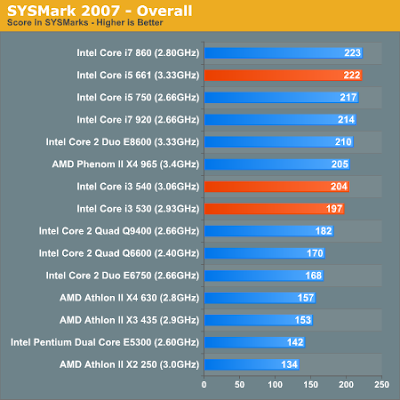 Test ended here, according to the test results, the processor subsystem, memory subsystem, processor computing, video encoding, 3D rendering, the old Phenom II X3 720 take the lead over the intel Intel Core i3 530, even it pass the the Core i5 650 Intel core first generation. Moving to the gaming, the situation becomes very clear, Phenom II X3 720 has obvious advantage. OMG, are you failed at reading or something? 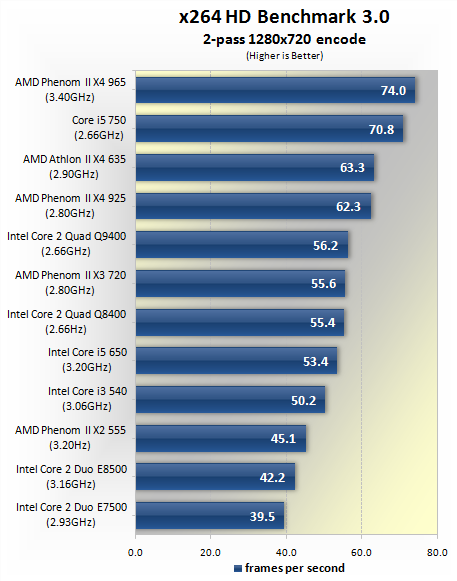 there isnt any test which i3 lead over the phenom but still you say "PhenomII X3 720 and the Core i3 530 alternating lead".